My mind has been on Vincent van Gogh for a few days. Anyone who knows my family well, knows we have a connection of sorts with Vincent van Gogh. So strong is that connection that when our friends see or hear something about Mr. van Gogh, they immediately think of us and share it with me on Facebook. Vincent and my family - We have a history. Lorelai began watching the modern Doctor Who series in the winter of 2013. We were in our December of Darkness for that year, and it was something entertaining for her during those long nights. She was 10 years old. 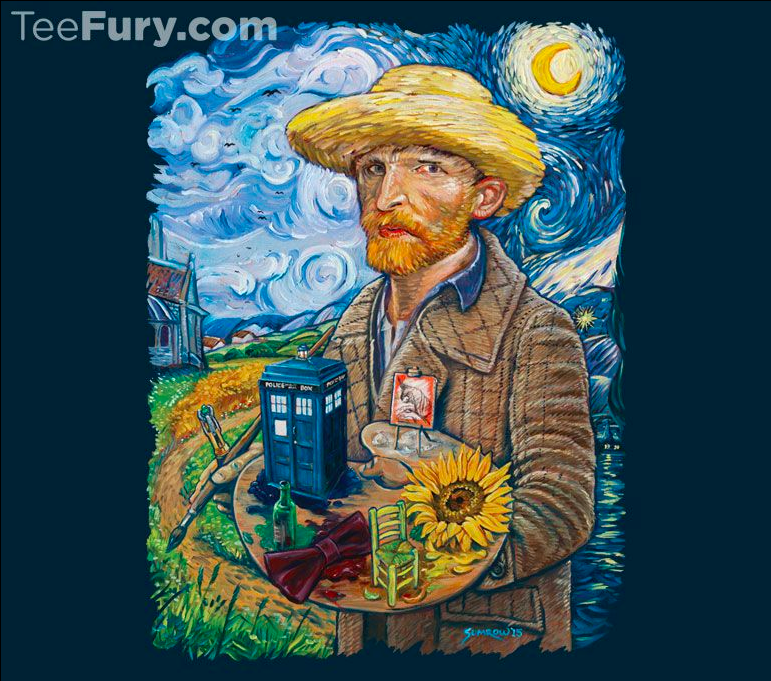 I remember well the night she watched the episode, Vincent and the Doctor. She was watching the show. I was watching her. There was a scene in which Vincent was clearly manic, his speech rapid and his body tense. Later there came a scene in which Vincent was in bed, depressed and crying. Then he lashed out at Doctor Who in hurt anger. I saw something on her face. She was empathizing, yes, but it was more. She was connecting. She I could almost see her mind making the connection that he was like her. That she was like him. It was yet another thing to connect us with this man we never knew, but often feel we know well. It made Vincent even more real to Lorelai, but not as someone like her dad. This time she could see he was someone like her. And of course, all Doctor Who fans will recall this tear-jerking scene. This is when they take Vincent to the musuem because Amy believes she can change Vincent's future by showing him how loved he really is. This is, by far, my favorite episode of Doctor Who. Ever. 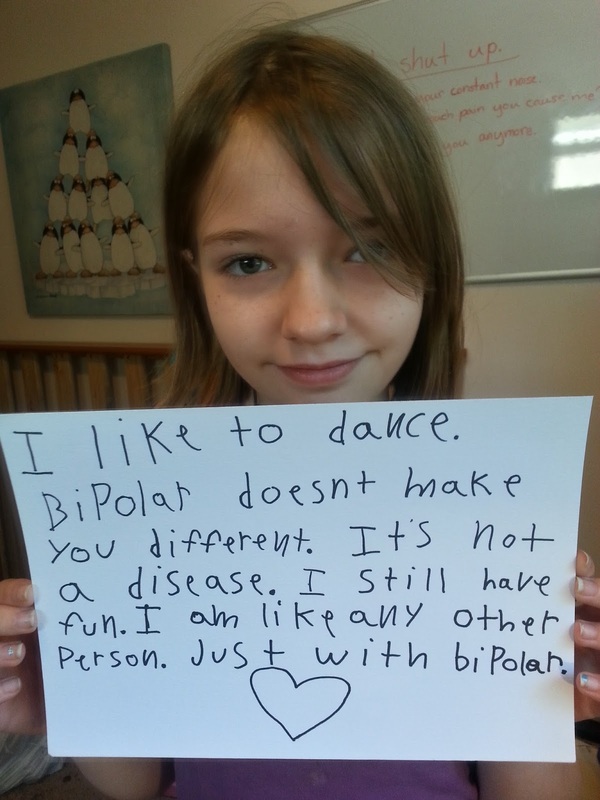 Today is World Bipolar Day. It is celebrated each year on March 30th, the birthday of Vincent Van Gogh, who was posthumously diagnosed as having bipolar disorder. 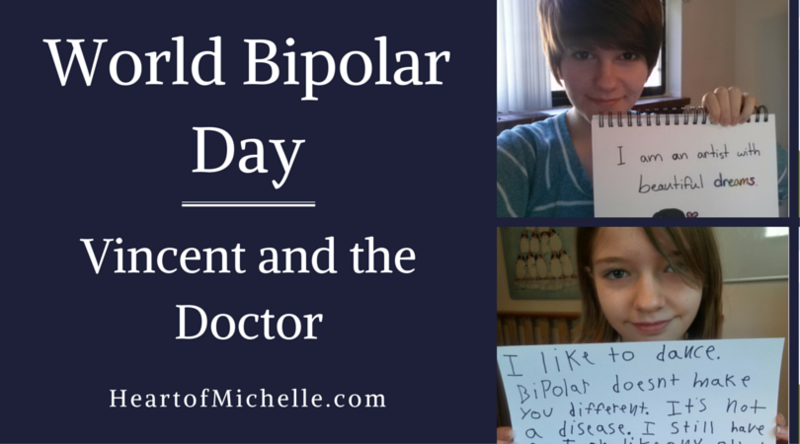 The goal of the day is to bring awareness to bipolar disorder and eliminate the stigma associated with it. The hope is to educate and improve sensitivity towards the illness. One activity going on right now, is on the Facebook page of the International Bipolar Foundation. 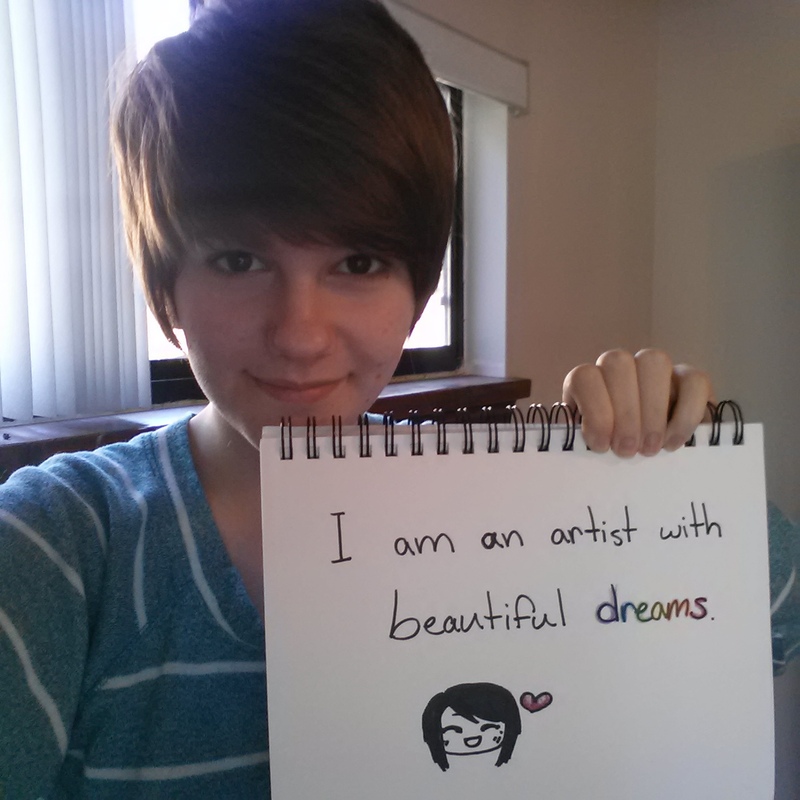 They're inviting everyone to take a photo holding a sign or adding text about yourself. The text or sign should list things about yourself that have nothing to do with the illness. Because you are not your illness. You are so much much more. 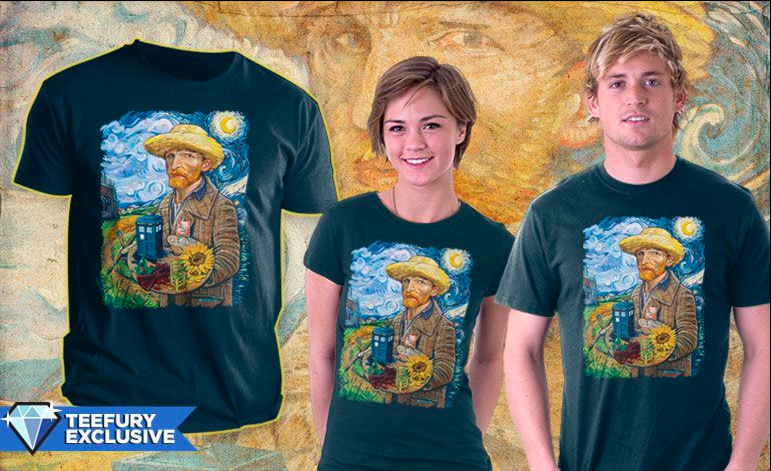 Today only, you can purchase these Vincent van Who t-shirts. They're only $11 each. I got one for each of us. Remember this sale ends at midnight (EST) so get yours right away. Beautifully written and that was an amazing clip from Doctor Who you shared.